Beto raised more money in the first 24 hours than Bernie. "Six million bucks overnight is impressive and anyone who says otherwise doesn’t understand the game," said one top Democratic donor. One great question surrounding Beto O’Rourke has been whether he could replicate the massive fundraising totals he mustered in the Texas Senate race last year. 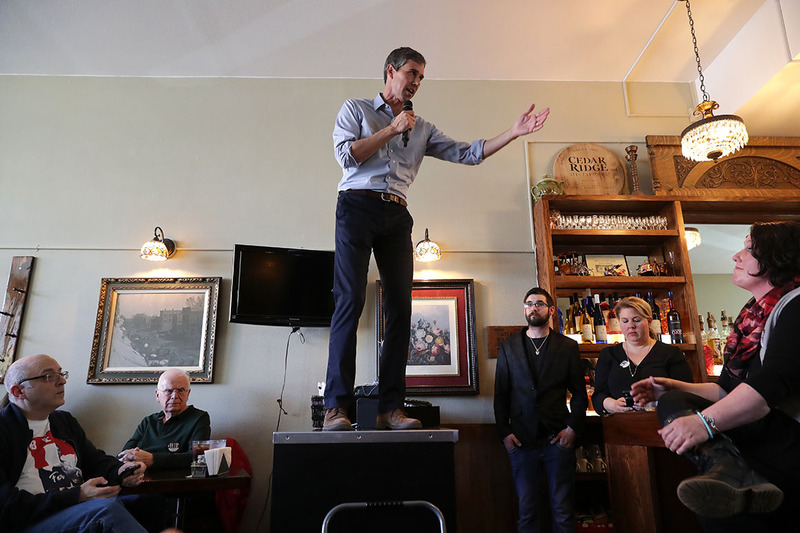 On Monday, O’Rourke put any doubt to rest, announcing that in the first 24 hours of his campaign, he had raised a staggering $6.1 million. On Monday, he said he hopes the total “sends a message to everyone who’s out there, who’s looking for a different way” to run a campaign. Before last week, it was Sanders who had set the bar for first-day 2020 fundraising, raking in $6 million in the 24 hours after announcing his run for president. Harris’ launch had been the second-most lucrative, raising more than $1.5 million in her first day in the race. Several of O’Rourke’s fellow Democrats, like Sen. Amy Klobuchar of Minnesota, Washington Gov. Jay Inslee and former Colorado Gov. John Hickenlooper, broke the $1 million threshold after about 48 hours, their campaigns said. 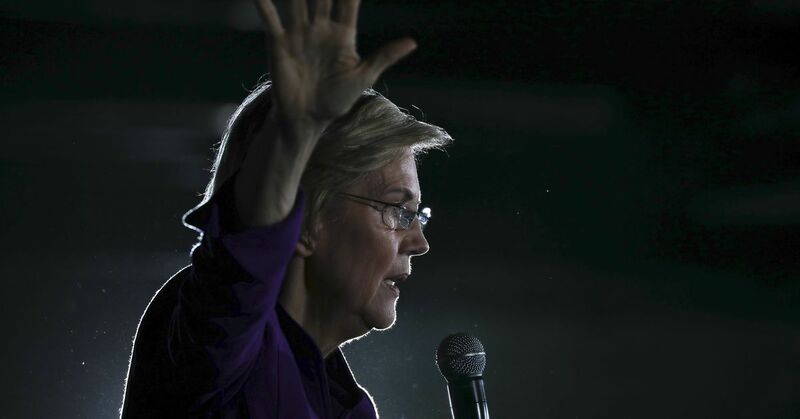 Warren didn’t say whether that should include financial reparations. The Waitangi Tribunal was established by the Treaty of Waitangi Act 1975. Since the Treaty was signed in 1840, Māori have made many complaints to the Crown that the terms of the Treaty were not being upheld. Often these petitions and protests fell on deaf ears. In 1877, one judge said the Treaty was a ‘legal nullity’. In the 1970s, Māori protest about unresolved Treaty grievances was increasing and sometimes taking place outside the law. By establishing the Waitangi Tribunal, Parliament provided a legal process by which Māori Treaty claims could be investigated. Tribunal inquiries contribute to the resolution of Treaty claims and to the reconciliation of outstanding issues between Māori and the Crown. Of course we in NZ, had the huge benefit that being the last country to be colonised by europeans we had a more “enlightened” approach by our pioneers to dealing with the indigenous people. The Chatham House movement of christian politicians (William Wilberforce, Fox, etc) in England fresh from their success in the abolition of slavery decided that work needed to be done on the proper treatment of the indigenous populations of the lands that were then being settled by British people. They were successful in convincing the then foreign Office of the British Government to a more inclusive approach to colonisation. And so it was that in 1840 a Treaty was signed by almost all chiefs of the various Maori Tribes around the country and Queen Victoria, whereby the only one who could purchase land from Maori was the Crown, and that the Crown could then grant title to sections of that land. Furthermore Maori still retained the rivers and lakes and the fish in the sea and birds (which were their source of food). In return the Crown would provide protection. Sounded good, but of course as with all agreements, the senior or stronger party, soon neglected, or ran rough shod over the details, to the detriment of the other. Hence the need now for reparation. This tribunal has worked well, and you can see some of the reparations on their website. I wouldn’t worry too much about how much it will cost, because frankly nobody knows, and those sort of details need to be the result of consultation and agreement, which can take years before all parties are in agreement as to what is a fair and reasonable settlement. I bookmarked for further learning. Thanks for that, I’ve been on a reparations reading kick, looking for good examples. Helpful, since it’s become a Democratic primary issue. Mr. Biden has expressed concern to these people that he wouldn’t be able to raise millions of dollars in online donations immediately the way some other Democratic candidates have, including former Rep. Beto O’Rourke of Texas and Sen. Bernie Sanders of Vermont, this person said. Mr. O’Rourke raised $6.1 million in the 24 hours after he launched his bid for the Democratic presidential nomination, while Mr. Sanders collected $5.9 million in the same period. Mr. Biden wants to announce a large fundraising number after his candidacy is official to better compete in what is often dubbed the “money primary” that kicks off a presidential season. I approve, Joyce is one of my favorites too. You’re a big James Joyce buff. Is running for president more like Ulysses or Finnegans Wake ? Definitely more like Ulysses than it is like Portrait . Finnegans Wake is dream speak. Ulysses is consciousness meeting reality. But here’s why I think Ulysses is extremely relevant. People believe Ulysses is this complex, difficult, inscrutable text full of references. And it is a difficult text, but its subject matter couldn’t be more democratic. It’s about a guy going about his day for one day. That’s the plot of Ulysses . And, to me, that’s what makes it very touching. You’re in this guy’s head, and you’re kind of seeing life through his eyes, and at the end through his wife’s eyes. 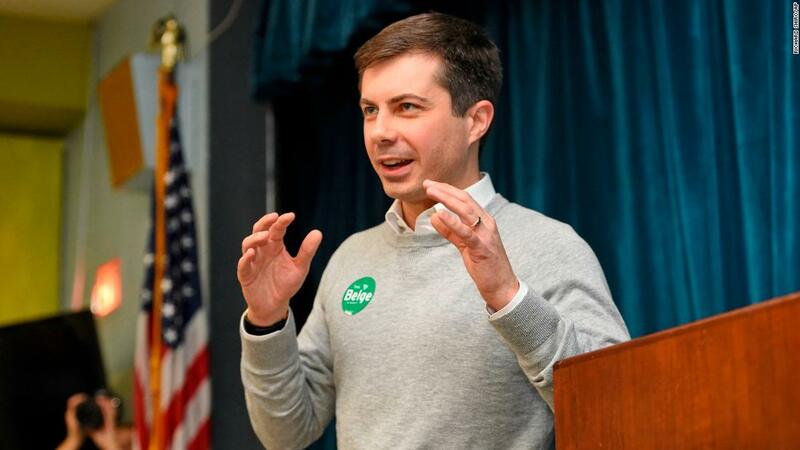 The South Bend, Indiana mayor and Democratic presidential candidate talks socialism, the Green New Deal, "I'm With Her," and what Democrats can learn from James Joyce. Lack of time or I would write a full report myself but I see a lot of comments online about why candidates aren’t putting forth more specific policy ideas. So I wanted to give a sort of update on current stage of the presidential primary. Welcome to the Money Primary. What is the “Money Primary”? In the United States, the money primary , also known as the invisible primary , is the period between (1) the first well-known presidential candidates with strong political support networks showing interest in running for president and (2) demonstration of substantial public support by voters for them in primariesand caucuses. 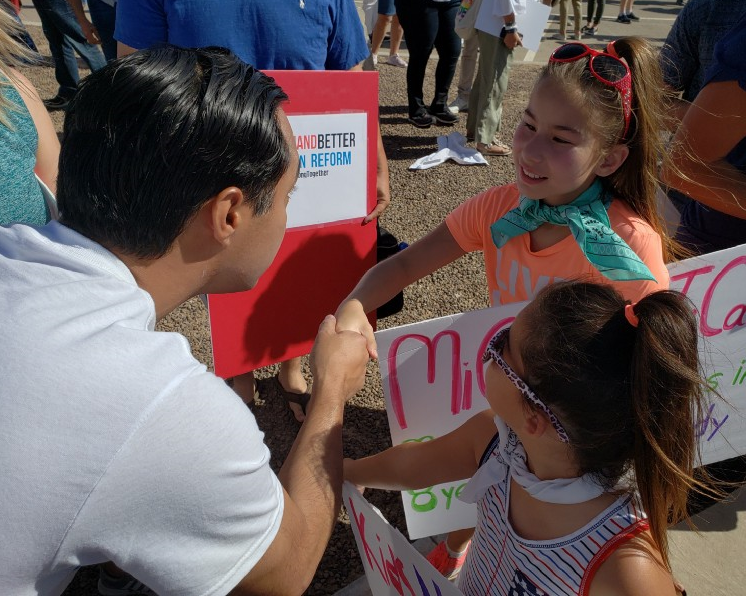 During the money primary candidates raise funds for the upcoming primary elections and attempt to garner support of political leaders and donors, as well as the party establishment. Fund raising numbers and opinion polls are used by the media to predict who the front runners for the nomination are. 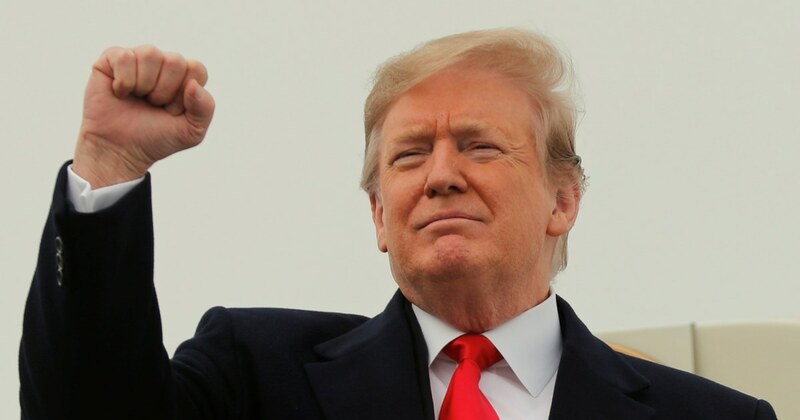 This is a crucial stage of a campaign for the presidency, as the initial frontrunners who raise the most money appear the strongest and will be able to raise even more money. On the other hand, members of the party establishment who find themselves losing the invisible primary, such as Mitt Romney in the 2016 race, may abandon hope of successfully running. During the invisible primary appeals are made and meetings held with the political elite: party leaders, major donors, fundraisers, and political action committees. In contrast to the smoke-filled room where a small group of party-leaders might at the last minute, in a small meeting room at a political convention, determine the candidate, the invisible primary refers to the period of jockeying which precedes the first primaries and caucuses and even campaign announcements. The winners of the invisible primary, such as Hillary Clinton and, possibly, Jeb Bush in 2016, come into the first primaries and caucuses with a full war chest of money, support from office holders, and an aura of inevitability. Winners of the invisible primary have the support of the leaders of their political party and, in turn, support the political positions of their party; they are insiders, part of the party establishment. They do not always win, as Hillary Clinton did not in 2008or 2016. There is little or no campaign advertising using TV, particularly by the candidate, during this period, although online advertising may be used to build mailing lists of grassroots supporters and small contributors. Online campaigns have become crucial to the Money Primary, as they build early support and campaign infrastructure. Want more specific policy ideas from your favorite candidate? Donate. This would be a wise move for the Biden campaign. Gimmicky but still a wise move. 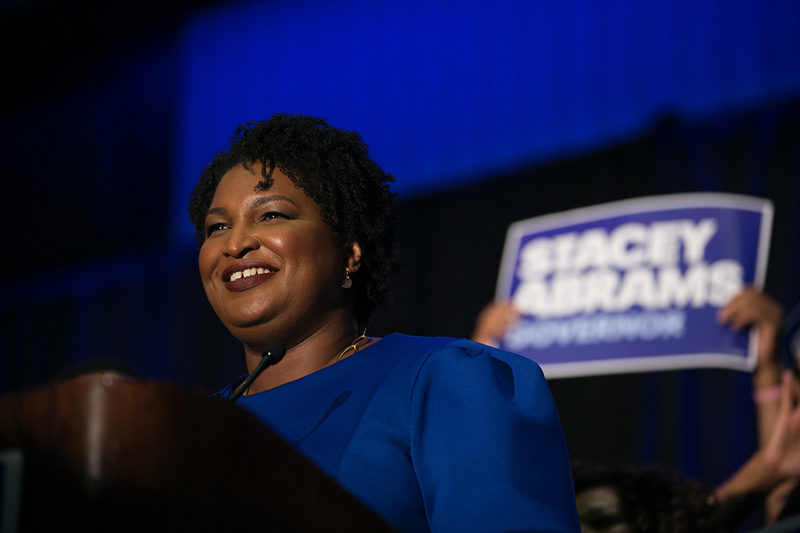 Most Democrats love Abrams. They want to show the former V.P. "isn't just another old white guy." Yes!! Dem super-pac to begin running attack ads against Trump! We should have been doing this the whole time since he never stopped running for President. The American Bridge group is expanding its budget nearly three-fold to target Midwest white working-class voters. Mayor Pete is having a moment and he deserves it. Pete Buttigieg can tell that things have changed. Cory Booker tonight on a CNN Town-hall event. 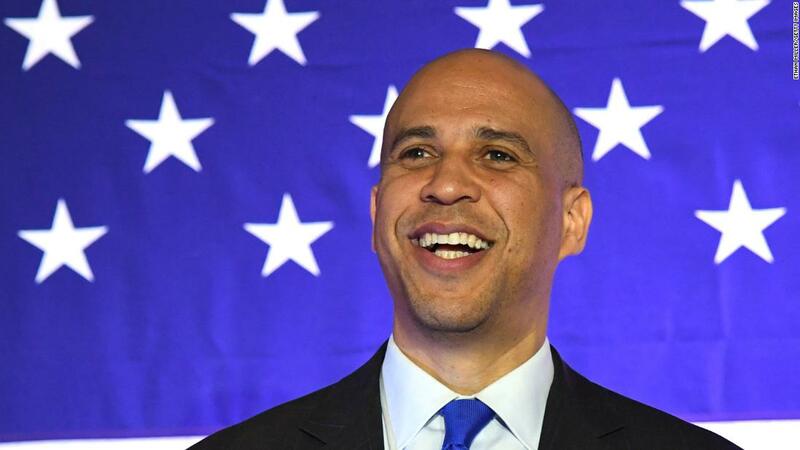 New Jersey Sen. Cory Booker will answer questions on a host of issues at a CNN town hall in Orangeburg, South Carolina. Follow here for the latest. The Georgia Democrat has expanded her political reach as she mulls a run for president or Senate. Whatever she chooses to do this year, she’ll have a lot of support. 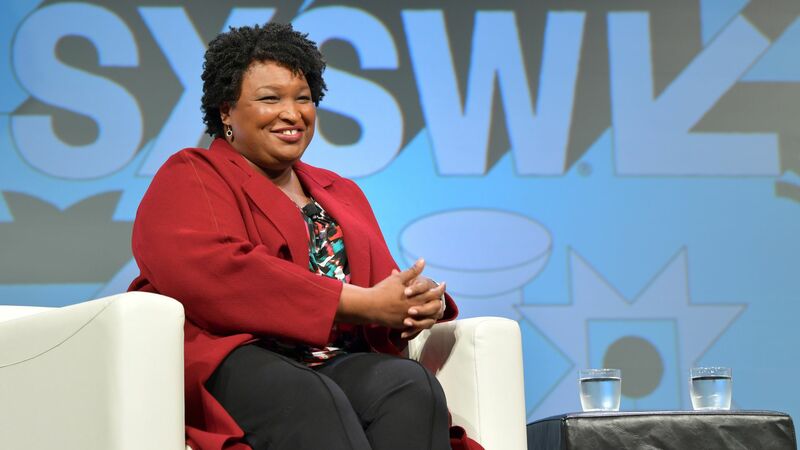 Abrams has some of the strongest messaging of any candidate in the Democratic Party. She gave the best Democratic response to the SOTU I have ever seen. Beto’s presidential campaign is official, he’s running. It’s long, skip around as you please. 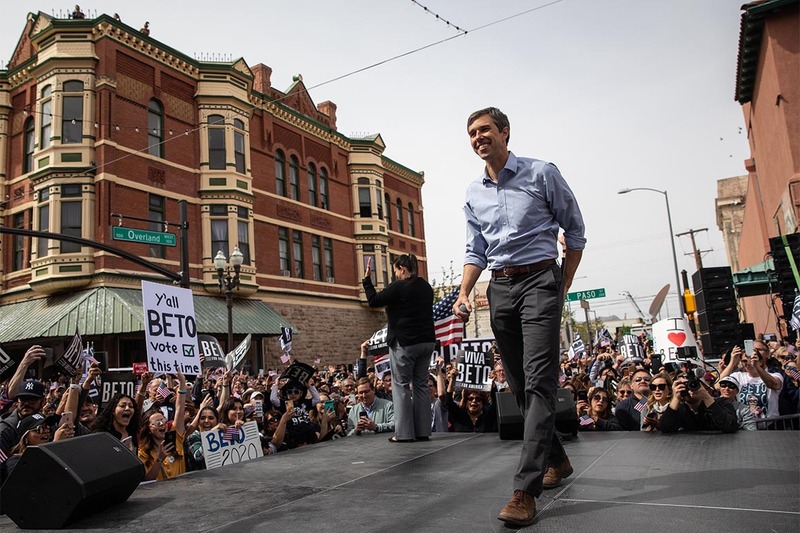 Former Texas lawmaker Beto O'Rourke kicks off his presidential bid in El Paso, Texas. Presidential Candidate, Julian Castro on his vision for immigration policy. 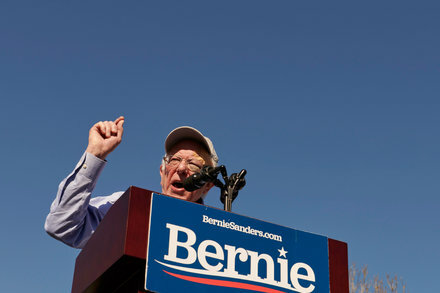 The announcement puts Mr. Sanders ahead of two other Democratic presidential candidates who have released their first-quarter fund-raising numbers. Senator Bernie Sanders of Vermont raised $18.2 million over the first six weeks of his presidential bid, his campaign announced Tuesday, a display of financial strength that cements his status as one of the top fund-raisers in the sprawling Democratic field. Mr. Sanders received almost 900,000 contributions from 525,000 individual donors, his campaign manager, Faiz Shakir, said in a conference call with reporters. The average donation was $20, compared with $27 in Mr. Sanders’s 2016 presidential campaign. Mr. Shakir said that 88 percent of the money raised came from donors giving $200 or less. Mr. Sanders’s total exceeds those of the two other candidates who have already released their fund-raising numbers for the first quarter of the year, Senator Kamala Harris of California and Pete Buttigieg, the mayor of South Bend, Ind. Yes…he makes a lot of great suggestions. How do we curb the “hate other”, “Racism” and fear mongering now? The T’ers and others do represent the minority in the country who want to close off immigration, which is illegal. Julian Castro’s voice and his position in attempting the presidency gives him a good platform to spread his wisdom, even if he’s a longshot. He makes very good points. Bernie still beat Beto in total donations for this quarter. Former Texas Rep. Beto O’Rourke reported Tuesday raising a total of $9.4 million in the 18 days between his campaign launch and the end of the first quarter. He’s working to challenge Sanders’ dominance of the liberal grassroots after pulling in $6.1 million in his first day, topping Sanders’ one-day total of $5.9 million. Mayor Pete can also play piano and guitar. Folds talked to Esquire about the time Pete Buttigieg joined him on stage. I have to say, I was a bit skeptical about Sanders running again. I fought for him so hard last time I wondered if I could handle all that again. And then I heard like one half of one interview and realized how much I missed having him to the forefront of the political discussion. I no longer see eye-to-eye with him on some foreign policy stuff but I still think he’s amazing.